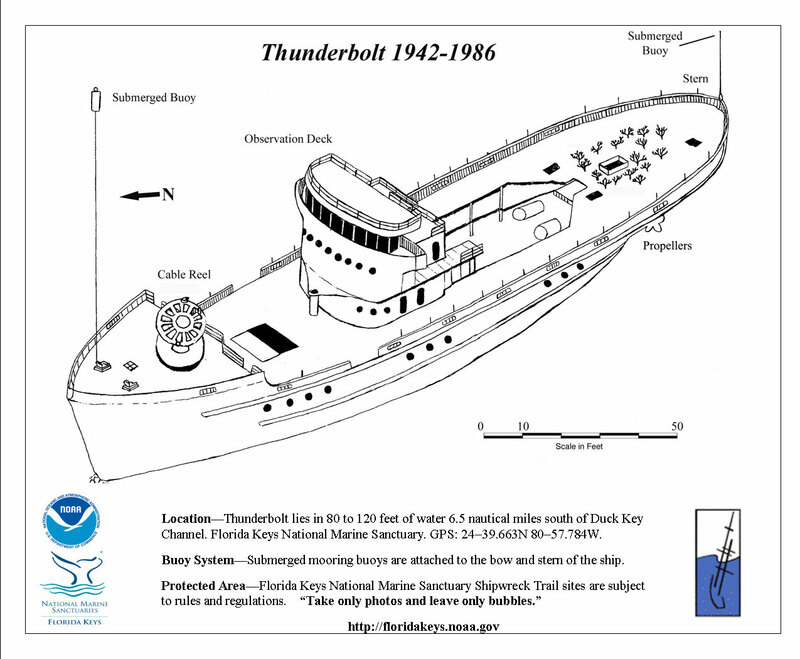 The Thunderbolt was intentionally sunk on March 6, 1986, as part of the Florida Keys Artificial Reef Association project. She now lies intact and upright on a sand bottom in 120 feet of water four miles south of Marathon and Key Colony Beach. The Thunderbolt was built, along with 15 sister ships, by Marietta Manufacturing Company at Point Pleasant, West Virginia, under contract to the U.S. Army during World War II. The Thunderbolt, then named Randolph, was launched on June 2, 1942. These ships were built to plant and tend defensive coastal minefields for the Army's Coast Artillery Corps. However, in 1949, this function and the Randolph were transferred to the Navy. While in the Navy, this vessel was never commissioned and remained in the Naval Reserve Fleet, first in South Carolina and then in Florida. Caribbean Enterprises of Miami purchased the vessel in 1961 and later Florida Power and Light bought her for research on the electrical energy in lightning strikes—hence her new name, Thunderbolt. Eventually, Florida Power and Light donated the vessel to the Florida Keys Artificial Reef Association. 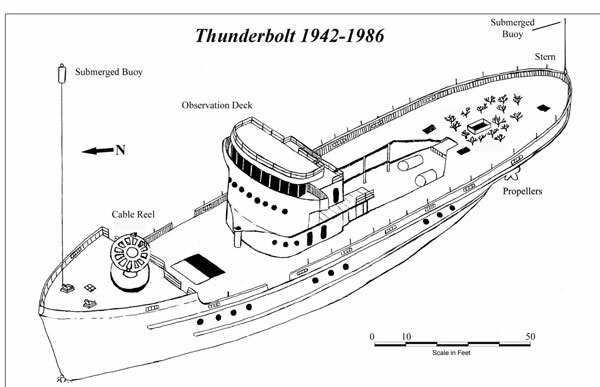 The Thunderbolt's hull is 189 feet long with a forecastle, which served as the cable handling area, and has a cruiser stern. Prior to being sunk, the ship was stripped of all but a few major pieces of equipment. 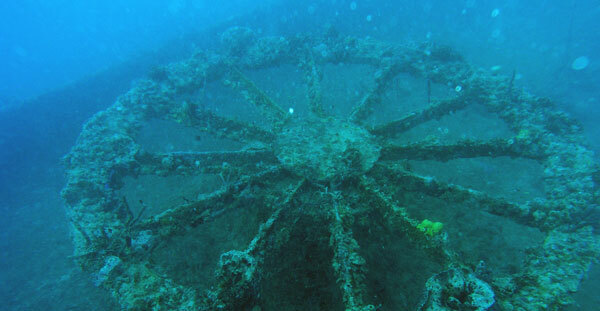 The most-prominent remaining features are a horizontal cable handling reel which lies at 80 feet and is centered on the after-end of the forecastle deck and the remains of the ship's superstructure, including the observation deck located at 75 feet. The aft-end of the superstructure has been cut away, exposing the interior of the hull at the engineering space. The rudder and propellers, which lie at 120 feet, also remain to complement the stern section of the hull. Click here for a printable version of the Thunderbolt site map. View a map showing the locations of buoys at the Thunderbolt shipwreck site.